Prepare to drop the bomb! 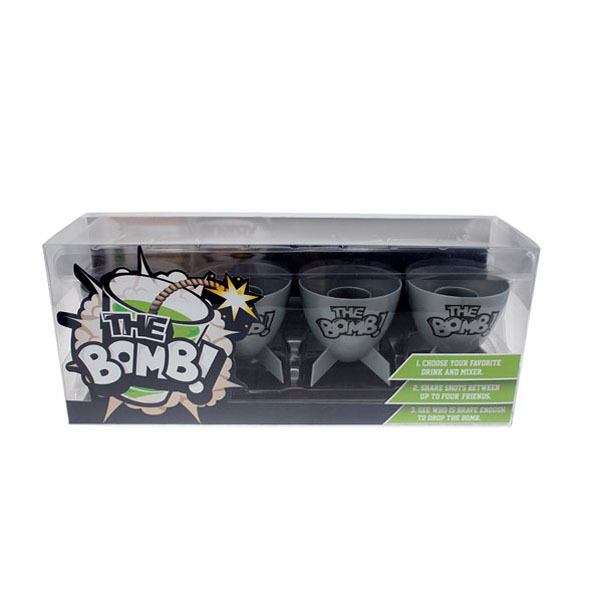 Jagerbombs, boilermakers, skittle bombs...all the best drinks are bombers, and these brilliant Bomb Shot Glasses give you an awesome way to chug them! Each of these cups contains a smaller cup, into which you pour the alcohol of your choice. Then, you fill the rest of the cup with an appropriate mixer and drink, drink, drink! 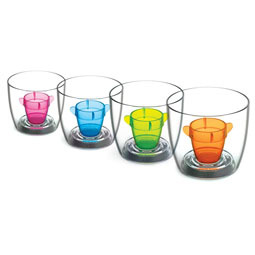 This set contains four bomb-shaped shot glasses, each of which can hold two separate liquids. Pour a shot of something saucy into the small inner cup, and fill the rest of the cup with a mixer of your choice. 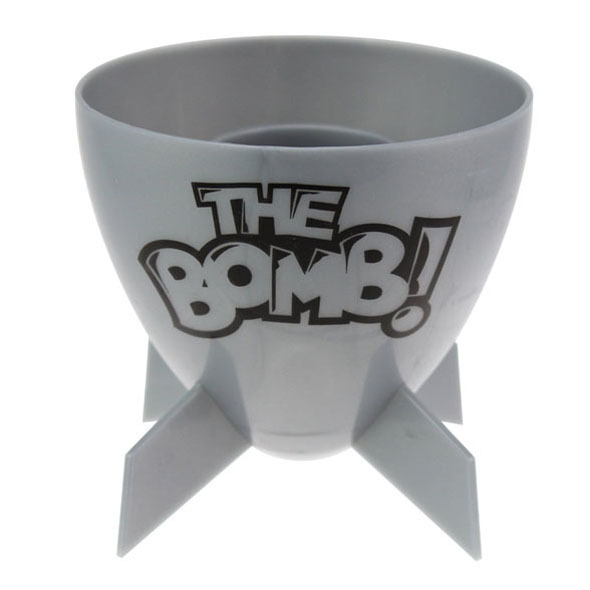 These bomb shot glasses are not dishwasher- or microwave-friendly. Please drink responsibly.